Give him lots of hugs and pats from all of us (dogs and people. Thank you so much Colette & Robert!! Duchinka just became 5 years old !!! 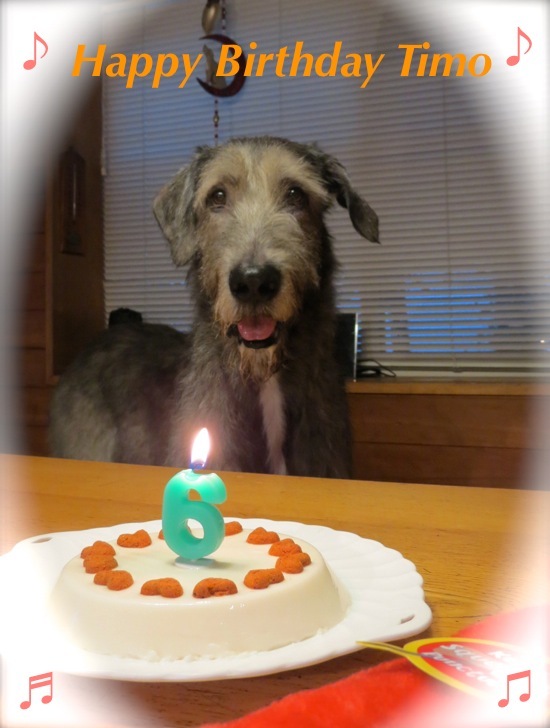 and Ame de Loup became 8 year old on April 13th..
As you said time goes so fast. Ame de Loup is becoming so sweet and careful with me..
Aki is here. Not cold but wet and tons of leaves are falling and no rain. Hugs to all and a special one to Timo. and I do not know how to use it !!!!!!!! I remember two years ago's meeting.